I do apologize for being so quiet, but I have been away on holiday, visiting among other places the Kruger National Park. 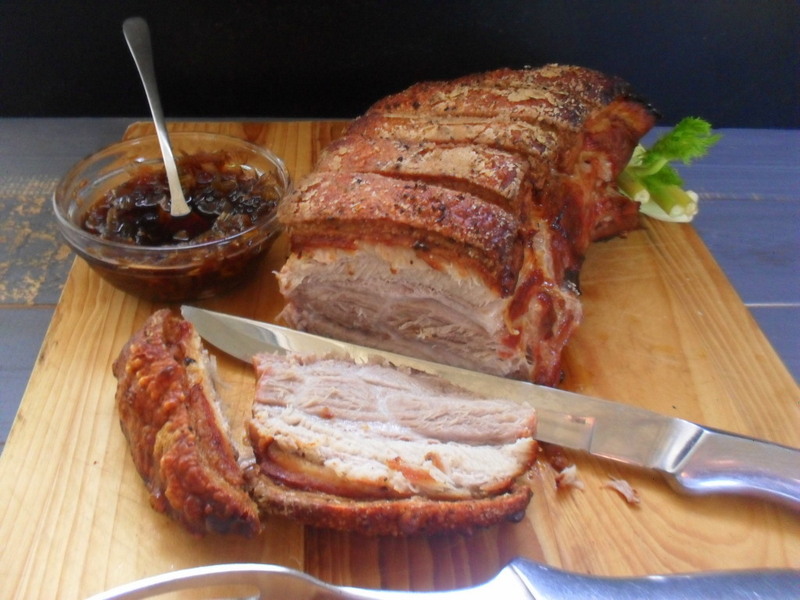 I made this roasted pork belly with fennel jam whilst on holiday. Although you need some time to cook the dish, it does not require a lot of effort. The oven is doing all the work. 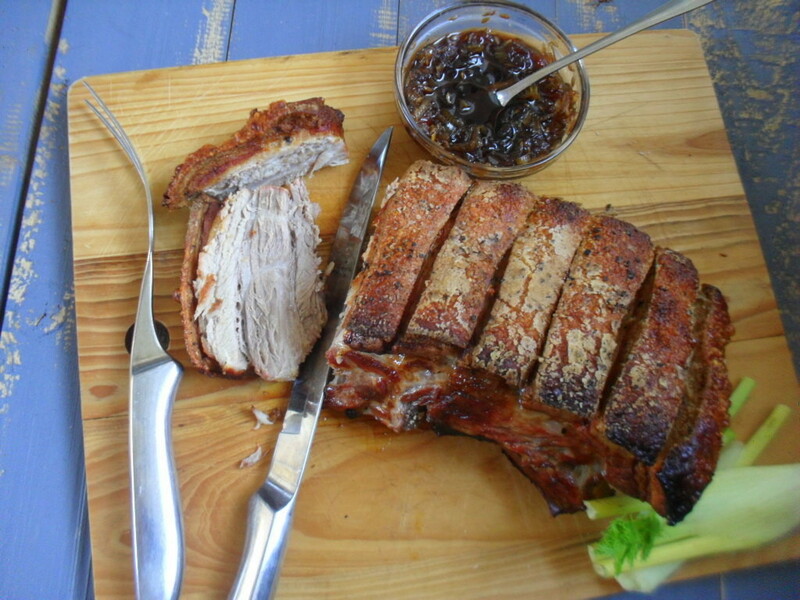 Pork belly must be done with a crispy skin; the deliciousness of this dish all lies in the crackling! I roast the pork belly on a roasting rack on top of a roaster filled with water. I believe the steam of the water cooks the meat perfectly and when most of the water has evaporated you can turn the heat up to crisp that skin! Pork and fennel goes well together and I really like something sweet and sticky with pork belly. 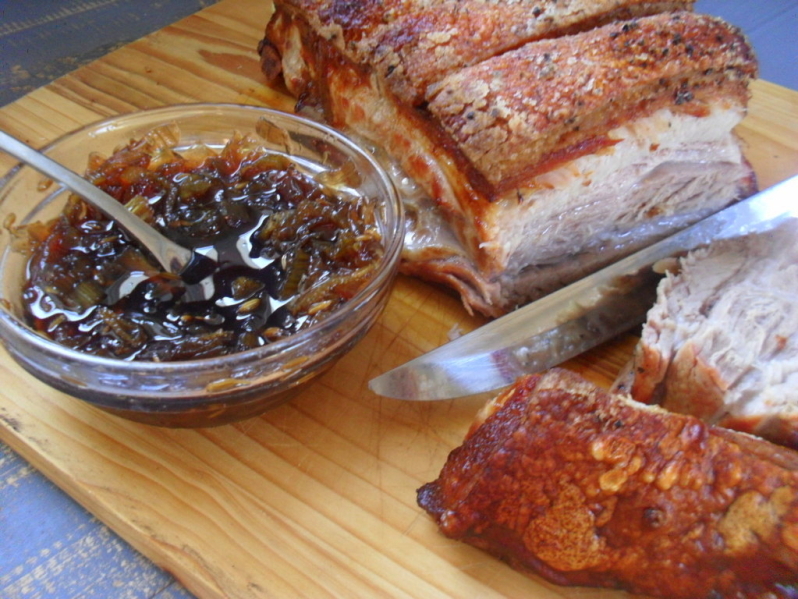 The fennel jam is a great accompaniment for the pork and enhances the flavour perfectly. Everyone loves pork belly; so spoil your family and friends with this easy-to-make, no-fuss dish this weekend! The dish serves approximately eight people. Roast some potatoes alongside the dish whilst in the oven, get the children to make a salad and enjoy the dish al fresco, because it is summer in sunny South Africa. Score the rind and the fat of the pork belly with a sharp knife. Rub the pork belly with salt and black pepper. Pour 500ml water into an oven roasting pan and add the onion, fennel bulb, fennel leaves and seeds to the water. Place the roasting rack on top and place the pork belly, skin-side up, onto the roasting rack. Roast for approximately 2 hours. Increase the oven temperature to 200⁰C for the last 15 minutes of the cooking time to crisp the skin. Remove the pork from the oven, cover loosely with foil and rest for 10 minutes. 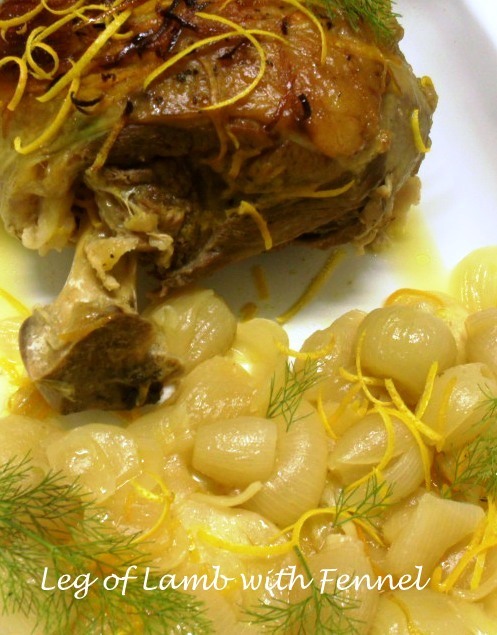 Serve with the fennel jam. Place the sliced fennel, chopped onion, brown sugar and balsamic vinegar into a saucepan and season with salt and pepper. Reduce the heat and simmer for approximately 45 minutes until the onions and fennel are soft and the mixture are thick. 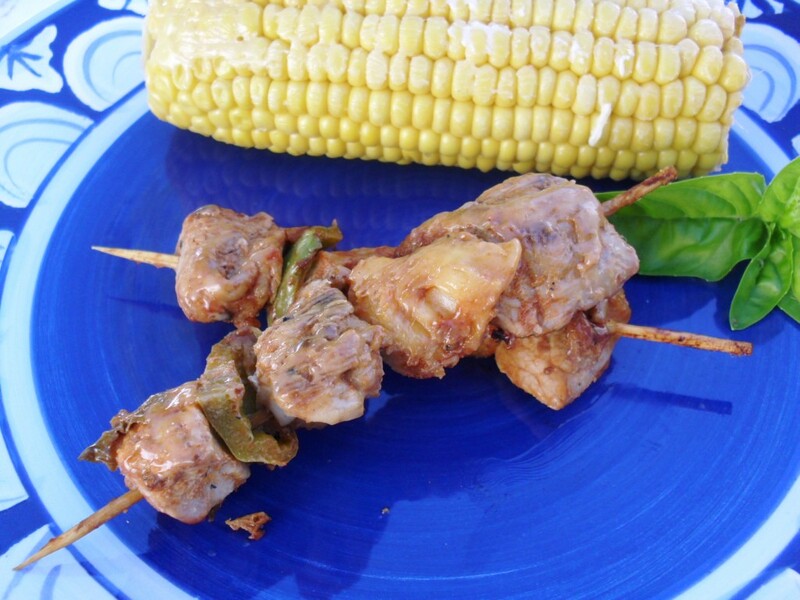 Serve with the pork belly. Any leftover jam can be kept in a sterilized jar in the fridge. My entire family would devour this. Divine. Ek hoop ons gaan ‘n bietjie van julle Kruger Nasionale Park fotos sien.